Jacob Conway came to SMU in 2012 knowing he was going to rush a fraternity. Coming from a family of brothers involved in Greek life, he wanted to follow in their footsteps. As January rolled around his freshman year, he proudly became a member of Sigma Phi Epsilon. Two years later he joined another on-campus group, SPECTRUM, SMU’s only LGBT undergraduate organization. Today, Conway is a senior and the co-president of SPECTRUM. There are very few students who are both members of a Greek organization and involved with LGBT. According to U.S. News College rankings, 33 percent of males and 46 percent of females are in fraternities and sororities at SMU. The estimated percentage of students that identify as LGBT is far smaller. “I don’t think a lot of the guys in fraternities here realize that they have gay brothers” in their fraternities, Conway said. Conway hopes that working with the Greek community will help increase awareness and recognition of LGBT students on campus. Belonging to organizations under both categories, he hopes to help strengthen the relationship before he finishes his last year at SMU. This year, Conway has been working with Val Erwin, the program advisor for the Women & LGBT Center, on establishing this relationship. “My goal is always to expand identities and help students be accepted in all the communities they are or want to be a part of,” said Erwin. Under Erwin’s leadership, Conway and co-president Taylor Souryachak are looking to make this year one of visibility and involvement for the LGBT community on campus. 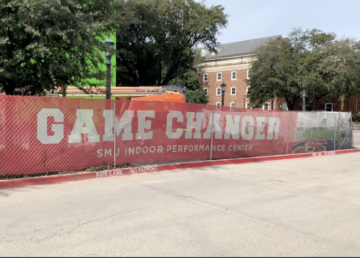 Conway, a business major, said that he has never known SMU as a hostile or threatening environment for himself or other members of the LGBT community. 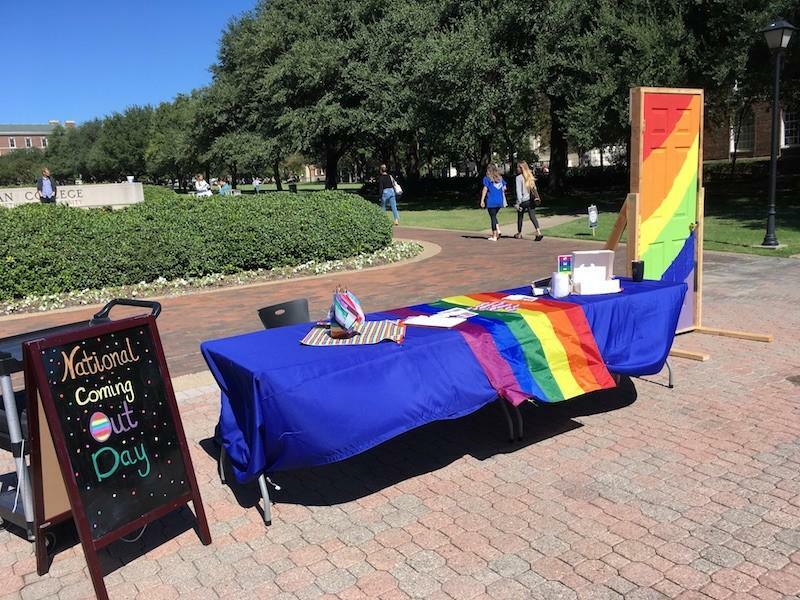 However, he noted that the there does appear to be apathy toward acknowledging the LGBT population on campus and the fact that some of them are involved in Greek life. 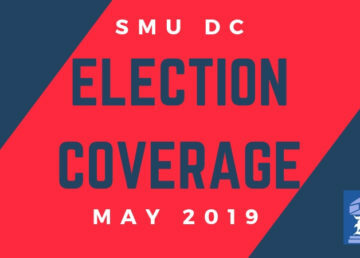 He said that he hopes the group can begin to educate straight SMU students on the importance of recognizing the presence of the LGBT community within their school and on-campus organizations. Spectrum’s annual social event, Drag Bingo, was a huge hit this year with over 350 in attendance, tripling in size from last year. Conway and Souryachak hope that fun social events like these will continue to inspire more exposure and alliances for the group. “Drag Bingo was a great event and brought all different kinds of students to it because it was free and on campus,” said junior Caroline Kushner, a member of Kappa Alpha Theta at SMU. The Women & LGBT Center began to forge an alliance with the Greek community at a LGBT & Greek Panel earlier this semester. With members of both communities present, the conversation on the relationship between both groups began. Erwin is happy with how the first panel went and hopes that it started a conversation that will continue. While Conway is also very happy with the start of the conversation, he hopes that in future discussions they will see more Greek involvement. 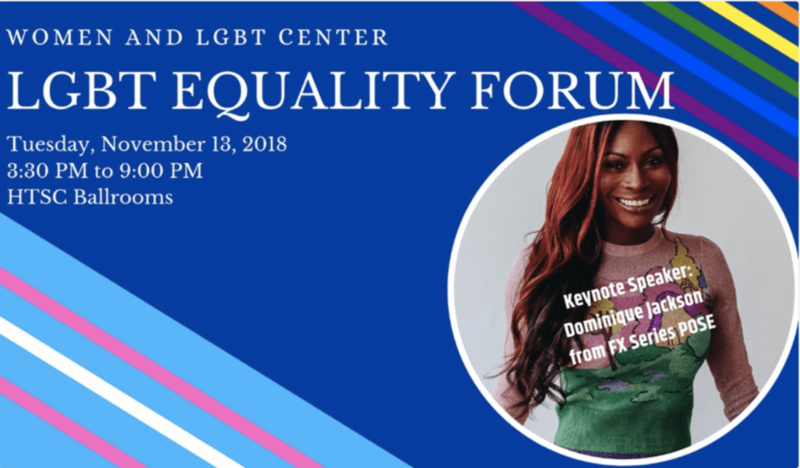 The lack of Greek representation at the panel displayed to Conway the lack of interest the Greek community has in forging a relationship with the LGBT community.